So where do we get on the on-ramp to the road of Emergency Management? How do we know what our weaknesses are? Are we prepared for what comes our way? Do we have the right stuff? How much stuff do I need? What events should our families be practicing? If any of these questions sound alarms off in your head, have no fear, Emergency Management is here to guide you along your route. We will answer all of these questions and many more you didn’t even know to ask. We begin with the Hazard Vulnerability Assessment (HVA). Done correctly, the HVA holds the keys to everything we will need to unlock and to properly prepare us for our All Hazards approach. First I know what you are thinking, what is a HVA and how do I get one for me? Below is an example of an HVA. See the following link to download a workable form in excel: WoodsmokeCampingCompany_HVA_ShortForm and/or if you are a Google user, your can go HERE, click on File, then Make a copy… or Move to folder… and it will copy a workable form directly to your Google Drive. You can also Download as… in the Google Document for other formats. The beauty of this spreadsheet is that you can modify it to fit your needs. All you have to do is put in the hazard that concerns you and follow the sheet. So as things change around you so does the tool. I reassess every year, taking account for any hazards that came my way and any preparedness I might have added throughout the year. The chances of the event happening in our area; I go back ten years and check reports for weather, power outages, local power companies, Law Enforcement reports, and news media. You may also request a copy of your county’s HVA to help guide you. Each event that has happened in the last ten years gets a rating of one to three, three being the highest likelihood of it happening. For instance, in the deep south where I’m from, blizzards haven’t happened here in the last ten years, in fact they have happened only once in the last twenty years, meaning that I would rank them a one in likelihood. Not saying that they can’t, but the data says they don’t happen a lot. How the event will affect you and your family is important to know. A cable outage impacts me, however it does not threaten my life. Unless you want me to talk about how I have to deal with five whiney kids that now have to be entertained, but that is another story. Human: Does this event cause bodily harm, or can it if left for long, cause threat to life. For instance a power outage for a few hours doesn’t cause threat to life. However a multi day outage might cause issues from heat, cold, food, and hygiene. Property: Does the event cause loss or damage of property. For instance a thunderstorm might cause my house to get wet, no biggie, I like rain, however the straight line winds that they bring might cause damage to my roof, trees to fall on my Jeep, all which may lead to failure in communication, travel, exposure and so on. Business: Does the event cause loss of productivity on my end. For instance if the roads are blocked and there is no power, how will I maintain my food supply, fuel for heat, or get Emergency medical help. I must take into account all the events that had a one or higher on my likelihood scale and how each one would impact my family. Now that I have figured out what they are and how they will affect me I am ready to move on to the other side and figure out how to prepare for and respond to these events. This is where I am going to buy stuff, about time right, but I am also going to write down my plans for my response. If I look at historical data I should prepare to stand on my own for three weeks. I know what you are thinking, all the plans I have read is that the Government will be able to provide care in 72 hours, simply not true depending on the magnitude of the event. This is the expected wait time for outside aid to reach me. I am going to exercise and test these responses with my family over and over again. Each exercise I will evaluate and improve on, either by buying more stuff, better stuff and or redoing my response plans. Each time I get new things or change the plan I must exercise both. It is worth noting on this side of the equation, if you are using the HVA I have provided, that one is now the highest and three is the lowest. I will grade my families ability to handle each exercise. This is where my family and community move into action and responds to any event that comes our way. We break these responses into two categories. Internal: How my family handles the event. External: How my community handles the event. This should be looked at first with neighbors or like minded close friends then expanded to my local city, county, region, state, and federal resources. Now that we have completed the HVA you should have a score under the RISK portion of the assessment. Look at your top five scores, these are the events that you should focus on for management. We should begin to MITIGATE and PREPARE for those events that have the highest scores, remember those two from the four phases, right? Now this HVA is not set in stone, if an event, like the snowstorms that happened in southern Georgia last year, pop up I would look closely at the likelihood again. And as I purchase new stuff or increase my inventory of an item, exercise for specific events, my Preparedness will change. You can see how this HVA is a living document as our lives are. Have ever watched the TV show “Domesday Preppers?” What we have just done is exactly how they rate or judge each “Prepper” at the end of the show. Who knew??? Now you do!!! 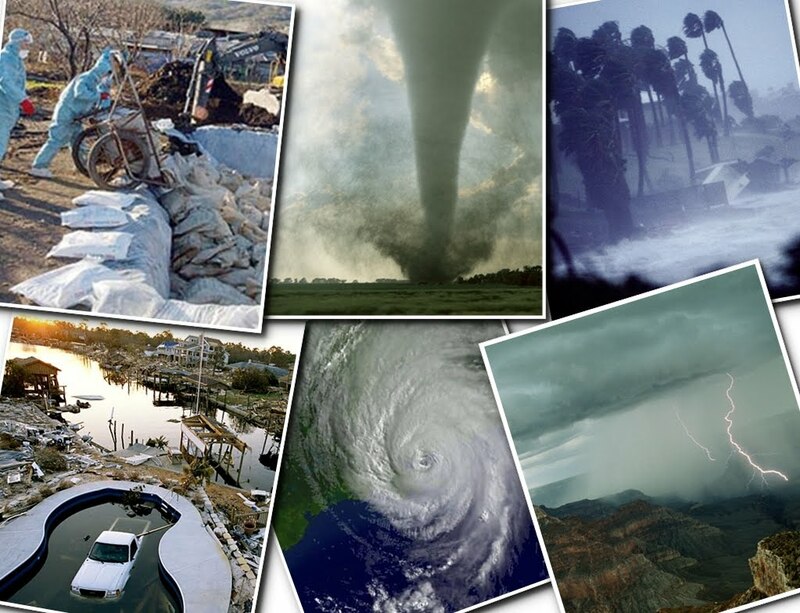 Emergency Management is exactly like life, it grows and flows through time, ever changing, ever improving. Well at least I know now what I need to work on. As I have worked on my top five RISKS I notice that by preparing for them I also prepared my Management of all the lower RISKS as well. Funny how that happened. My chances of becoming a ZOMBIE are getting smaller all the time. See you around the campfire, now, GET OUT THERE!!!!! Man Chuck, this just got me motivated. Gonna work on a HVA for my family tonight. Thanks Matthew, I hope that the tool is useful and that it will help people prep in the right way. Next article will be on writing your plan down. Stay tuned to the same bat channel for more exciting Emergency Management articles. The HVA tool is a one-of-a-kind. I really like how you can customize this to fit your personal situation or do “what-if” analysis.